Clodagh & Fleur were responsible for helping me to sell my flat. The way the online portal worked was impressive, informative and worked very well. There were so many people involved in getting viewings. My flat was situated in an area where you would never know it existed and they managed to get so many viewings. Fleur was fantastic at keeping me updated on what was happening once we had an offer - diligent and delightful. If it had not been for Clodagh I would still not have exchanged. She was a superb negotiator and kept liaising with both solicitors on both sides to keep things moving along. Thank you to you both for helping me to sell my flat! Hi, I would like to say that when I was about to return to Spain. I found angels called Alfonso and Irene. They helped me to the maximum to find the house that opened the doors to me in London and were very kind. Irene translating in everything because I did not speak any English and Alfonso I hope you gave me all the facilities to rent. So if you need real people do not hesitate to contact them. Ayoube was very thoughtful and considerate when showing us around properties as first time buyers. With his expertise and charming way, he made our experience enjoyable and insightful into helping us purchase our new home. Nam showed us a few flats. He was really professional and polite and he genuinely care about finding the best option for our family. Thank you very much. Christina and I recently completed our move to Stockwell. After reaching out to a number of real estate agents we were pretty depressed about our prospects for finding a good apartment. Alfonso at the Vauxhall branch of Foxtons really turned things around for us. He was very efficient and professional, going out of his way to accommodate our requests. Our experience with Foxtons has been the best real estate experience either of have had to date. Great job! I was contacted by a member of the London Vauxhall branch, after querying about several properties elsewhere in London with Foxtons. The negotiator who contacted me was called Nam and over the next few months he really helped broaden my knowledge and went the extra mile to help me understand the buying process and the options available to me, from properties to financing. Out of dozens of estate agents with multiple firms whom I spoke to, he was the only one who added value and really aided me in my search, taking me all over London to look at properties. I am currently in the process of purchasing a place through Barnard Marcus, which he continues to support me on, all of which I am extremely grateful for. If anyone I know is ever looking for a place, his is the first name I will pass on. I have to praise Clodagh for the handling of my recent sale. She got me a good offer in a fast timespan, whereas the previous agents had the property for a year without success. The sale was held up for a long period due to legal wrangles, but she kept the buyers sweet and ensured that the sale went through. She put in a lot of extra work to achieve this. Foxtons Vauxhall are a member of the key governing bodies, abiding by the strictest codes of practice. The Vauxhall property market is competitive. 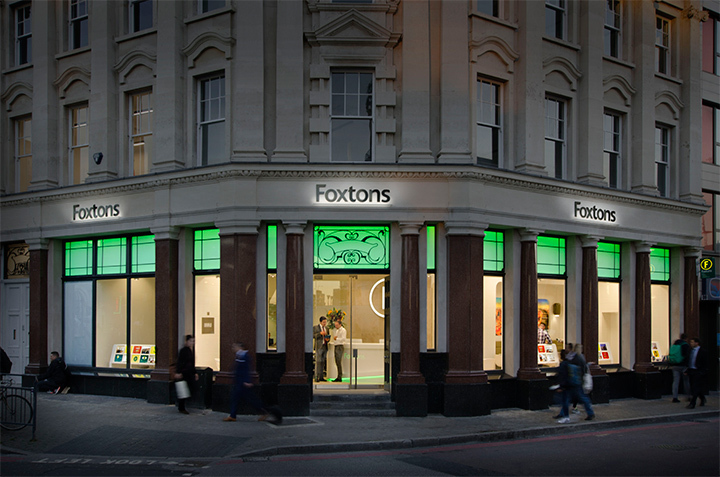 Foxtons can give you an advantage.